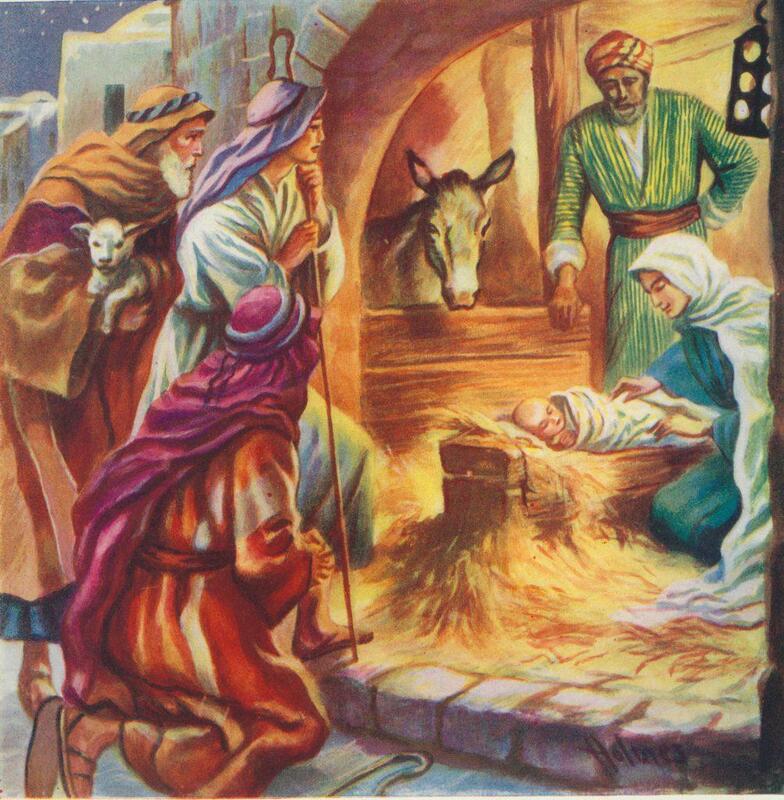 This illustration of the birth of Jesus with the shepherds in attendance in the cattle shed is a classic pre-War illustration from The Greatest Story Ever, printed by the Drummond Tract Depot or Stirling Tract Enterprise. The Drummond Family, as seed merchants and agricultural improvers, did much to shape the Royal Burgh of Stirling in the 19th century. The latest in agricultural improvements could be seen in the Drummond Agricultural Museum in King Street, and Drummond architects built the High School, Snowdon School and many other buildings in the town. William Drummond laid out the Valley Cemetery at his own expense, creating ‘a pathway for the Lord’ through a very rough area of Stirling. His brother Peter set up the religious publishing house which printed tracts and newspapers by the million, turning Stirling into a publishing town of some note. Today, Stirling Council has its headquarters in Peter Drummond’s house. The Stirling Tract Enterprise lasted from 1848 – 1981. The company employed dozens of artists to illustrate their publications and bible stories. F T Holmes, who drew this scene, worked for the company in the 1940s and 50s. Today, in spite of the volume of publication produced, Drummond books are now quite rare. This book with many others were gifted to the Stirling Smith by Stirling solicitor Gordon Murphy.